Scottish wildlife filmmaker and television presenter Gordon Buchanan – best known for his close encounter with a curious polar bear on BBC’s The Polar Bear Family and Me – has added his name to a growing list of people and organisations committed to getting kids out to play. The raft of pledges will be announced today to coincide with the launch of Inspiring Scotland and Scottish Government’s Out To Play guidance by Children’s Minister Maree Todd. Out to Play provides guidance for setting up an outdoor nursery, or to help indoor nurseries increase the capacity through using outdoor space. It promotes the benefits of outdoor play and learning for children’s health and wellbeing and academic attainment. Buchanan has signed up to the Scottish Coalition for Outdoor Play and Learning Position Statement alongside 37 other names in a second round of pledges to the commitment. The new signatories take the total number backing the document to 87, adding to the 50 who signed up in October last year. Research from around the world demonstrates the enormous benefits of getting outside to play for children’s health, wellbeing and development, and the right to play is enshrined in United Nation Convention on the Rights of the Child. The Position Statement was launched by Ms. Todd at an outdoor nursery in Glasgow last year with Scottish Government and Inspiring Scotland, with original signatories including bodies as diverse as the Royal Zoological Society of Scotland, Glasgow Science Centre and NHS Health Scotland. 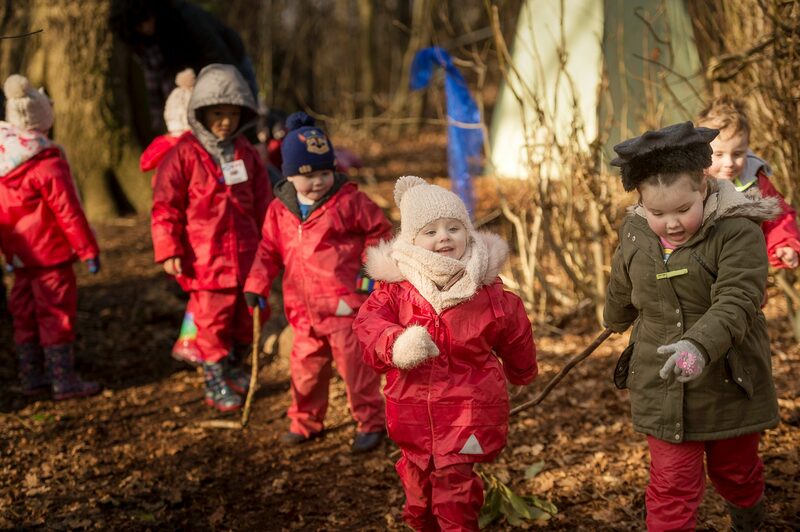 Helen Chambers, Deputy Chief Executive of Inspiring Scotland said: “We believe that getting outdoors and playing and learning in the natural world is a crucial part of a child’s development, and we want all children in Scotland to be able to do that. In creating the Out to Play guide and collaborating on the Position Statement, we hope to make this a reality. Peter Macleod, chief executive of the Care Inspectorate said: “There is significant and growing interest in how children and young people access the outdoors to play, learn, develop and have fun.